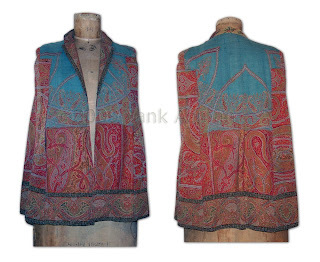 This short cape appears to date from the 1920s-'30 and was made from a much older paisley. 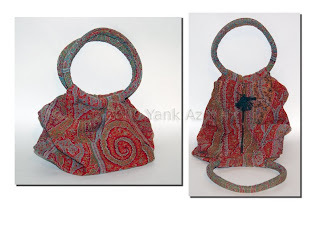 This is one of the pieces that we sold at the Vintage Clothing Show. Oh, are you spending time at the Fedora Lounge? Really? Hmm.